A plumber wanted to upgrade his waste tanker to be more efficient and reliable. 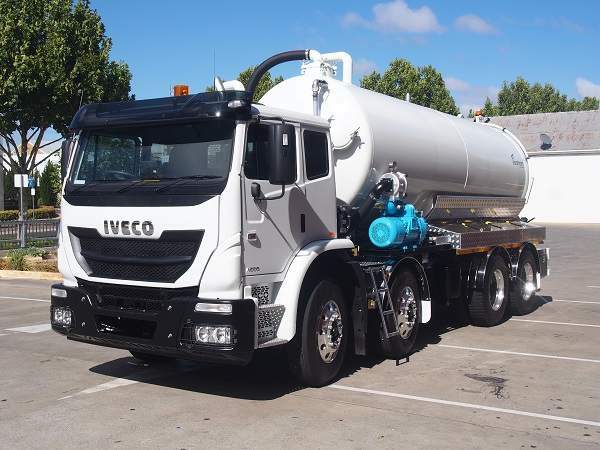 After visiting his local area and becoming familiar with his day-to-day operation, we provided several options to suit his tight budget from second-hand tankers and different configurations to a suitable cab chassis to fit a new unit. 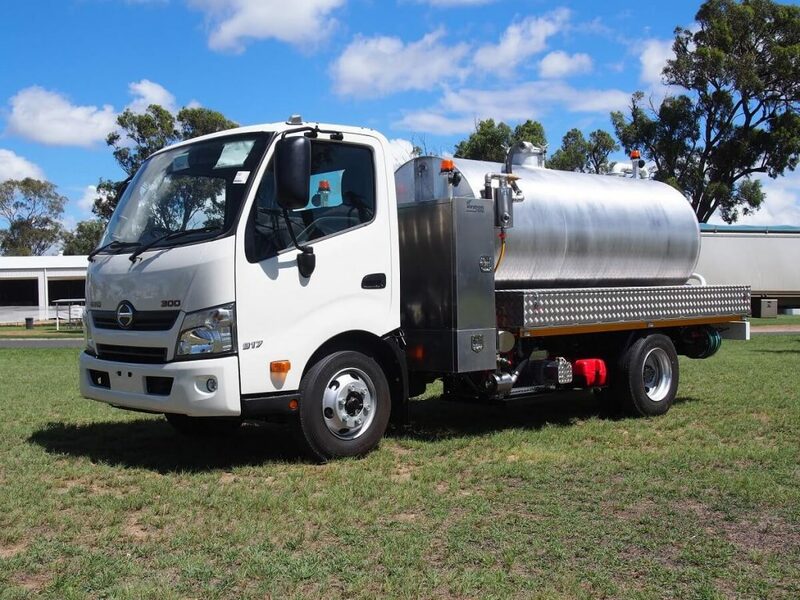 Our client opted for a new unit and with our assistance, chose a Hino cab chassis with an exceptionally light tare weight. Due to the local mountainous terrain, the Hino was a perfect choice with a low centre of gravity and plenty of power to negotiate the unforgiving landscape. We set out to build the perfect unit. The pump, a 350CFM rotary vane pump was chosen for its reliability and because it could be easily driven off the truck, eliminating the additional maintenance and weight of a hydraulic or engine driven system. We worked tirelessly to achieve the maximum payload. In the end, the client took delivery of a unit that was on-budget, looked the part, was a pleasure to operate and above all perfectly suited his operations. As per our standard procedures, we followed-up with the client to ensure the unit met expectations. At this time, we also provided added advice on how to tackle some unusual jobs.